Keyless chuck clamping capacity of 1/64-inch - 1/8 in. 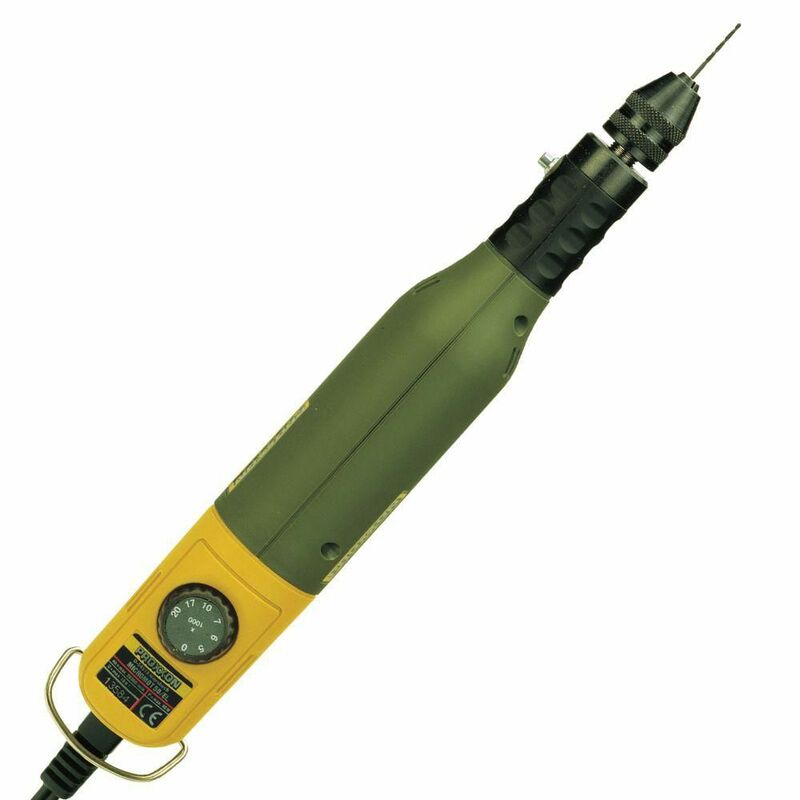 12V Rotary Tool Micromot 50 EF (Transformer Sold Separately) The Proxxon Micromot Rotary Tools are lightweight with high precision in a pen style design providing comfortable handling and optimal control. Designed with a specially balanced permanent magnet motor this tool runs very smooth over extended use under various load conditions. They are ideal for model builders, woodcarvers, and artists. The tool requires the use of as 12V transformer (sold seperately). For power supply we recommend Proxxon's MICROMOT transformer NG 2/S or NG 5/E.